Grace So Amazing is a Christian non-profit organization working to lessen the devastating impact of poverty, conflict, and chaos among children and youth living in Haiti through a Christ-centered, holistic approach of caring for mind, body, and soul. Our goal is to strengthen communities through programs created to educate and empower to ensure positive and sustainable outcomes one child at a time. We have some amazing things going on at GSAM, and can’t do it without you. To share the love of God, our Creator, and salvation found in Jesus Christ with everyone we meet, and to serve vulnerable children and families in Haiti through educating, feeding, caring, and empowering them in a way that will give them the knowledge, strength and confidence to grow out of poverty and into an emergent generation of hope. Grace So Amazing exists to serve the least, the last, and the lost. To share the love of God and salvation found in Jesus Christ with everyone we meet. 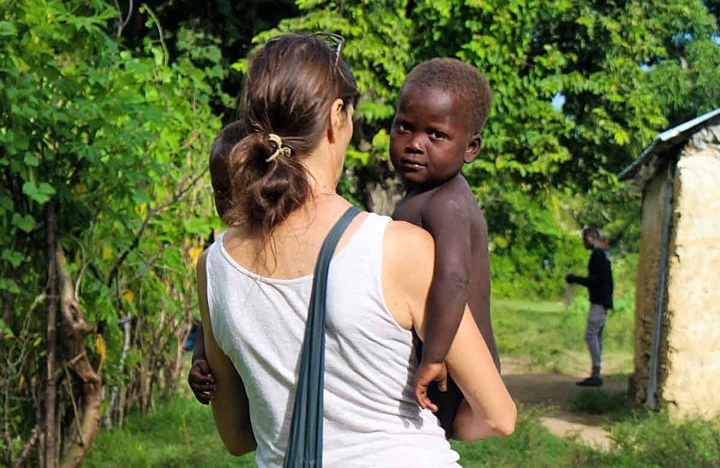 To serve vulnerable children and families in Haiti, empowering them to grow out of poverty through education, orphan and vulnerable child care, health and wellness, feeding programs, community outreach and discipleship. We recognize the importance in meeting basic needs as we develop relationships and share the love of Jesus Christ. We believe in One God, existing eternally and co-equally in three persons: Father, Son, and Holy Spirit. God, the Father, is the Creator of all things in heaven and on earth. All things were created by Him and for him. In Him all things are held together. Jesus Christ is the one and only Son of God. Sinless in His life, He was offered as the perfect sacrifice to reconcile a fallen and sinful world back to the Father. The Holy Spirit is co-equal with the Father and the Son. The Holy Spirit has been sent by the Father to convict the world of its sin, make us see our need for a Savior, and to condemn Satan. Our orphanage provides housing, food, education, and love to children in need. We assist the poor in the community of Boyer through meal support, medical care, clean water, and friendship. We provide a free Christian education to families that cannot afford to send their children to school. Our line of beauty products are made by women in Boyer, Haiti, empowering them to create a better life for themselves. We pay them a living wage, allowing them to support their family and break the recurring cycle of poverty. Our goal is to strengthen communities through programs created to educate and empower in order to ensure positive and sustainable outcomes one child at a time. Grace So Amazing Ministries is a 501c3 nonprofit organization.